If you’ve got a new, contemporary bar, club or restaurant, then you’re going to need some modern bar stools to round out the decor. In our bar store, in addition to these contemporary bar stools, we carry a variety of leather bar stools, home bar stools and of course, classic bar stools. Below, we’ve displayed a selection of our modern bar stools. We deliver internationally and, if you live in the continental USA, shipping is included in the price of all the bar stools listed below. This modern looking, moulded acrylic bar stool features a swivel and adjustable seat as well as an adjustable footrest. The hydraulic lift has the ability to move the seat from between 21.5 inches high to a maximum of 31.5 inches high. These modern bar stools are popular with nightclubs and lounges who need the right kind of bar accessories to compliment their decor and create a classy, sophisticated atmosphere. 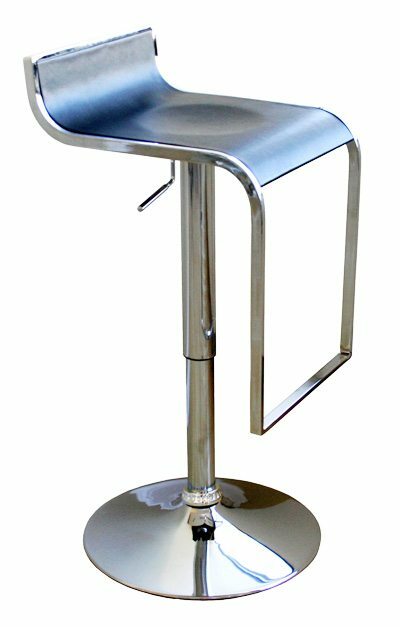 This contemporary bar stool is crafted with a solid chromed steel frame and uses composite curved wood for the seating area. It’s adjustable, using a gas lift to adjust the height of the seat from between 21 inches and 30 inches. 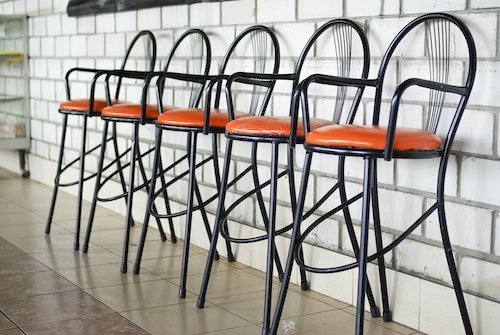 These modern bar stools come in your choice of either natural (shown here) or black (pictured at the top right of the page). This is one of our favorite contemporary bar stools. It has a wide curved back rest for extra comfort, is padded with a polyurethane foam, covered with vinyl and has a frame made from polished steel. And because we know how some bar stools can wreak havoc on bar floors, it comes with a rubber ring under the base for extra protection when moving and rearranging your bar furniture. “Sorry, this item is no longer available.” Check out the other bar stools in our barstore. This swivel bar stool is made from strong ABS plastic and has a L-shaped seat that is adjustable by way of a gas lift. It features a footrest and the frame is made with steel tubing with a polished finish. Like many of our modern bar stools, it also features a rubber ring under the base to protect wood and marble floors from scraping. This little beauty comes in your choice of either red, silver, black or white. It’s called the moon bar stool because…well, I’m sure you can see why. 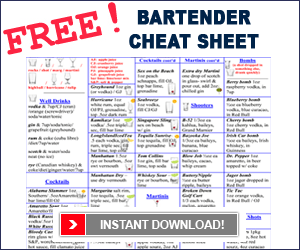 It comes in the same colors as the bar stool listed above – red, white, black and silver. And, also similar to the above bar stool in most respects other than design, this moon bar stool features a low-backed seat moulded from ABS plastic, has a metal footrest and a powered gas lift seat. The lift allows patrons to choose between a seat height of between 23 and 31 inches. This bar stool, called the Jupiter bar stool, is made from the same high quality ABS plastic as the two other bar stools listed above and comes in the same choice of colors – red, black, white or silver. It also sports a gas-lift adjustable seat and metal footrest and is made from the same quality steel tubing. Keeping with the solar system named bar stools, this one’s called the Mars bar stool. Made with the same quality ABS plastic and steel tubing, the only difference is this one has a slightly different style, with only a half back rest. It comes in the same choice of colors as the other 3 listed above. Dimensions: 17″ across X 22 – 30″ height. CLICK HERE if you want to see all our available bar stools.